Do You Have To Use Products from One Brand? Sales pitches and misleading information have probably made you believe that you must use products from the same brand for it to be effective. You may have been told that adding products from different brands will make the other products you are using ineffective or not work as well as they could. None of this is true. It's entirely fine to mix and match products from different brands but sometimes doing so is necessary if you want to get the best possible results! It's important to be aware that not all brands offer products for all skin types or concerns. What's imporatant are the formulas and whether or not those suit your skin type and your specific skin concern. More often than not, the line you're using includes some good products, some badly formulated products, products that aren’t suited to your skin type. For example, a company may have a great moisturiser but not so great cleansers. So, using products only from that line (both the good and bad products) will guarantee you don’t get the best possible results. 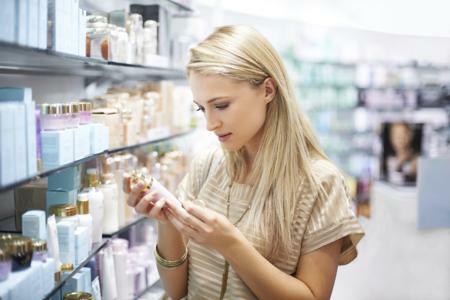 You may be concerned about the cost, so you may want to buy a cleanser from a cheaper brand and splurge out on a treatment product or a moisturiser from a more expensive brand. As long as you’re regularly using products that are well-formulated and suitable for your skin type and concern, you should see positive results. I like certain products in certain brands, I do not believe that every product in a brand or line will work as well as the other. So, I like to take the best of every line!